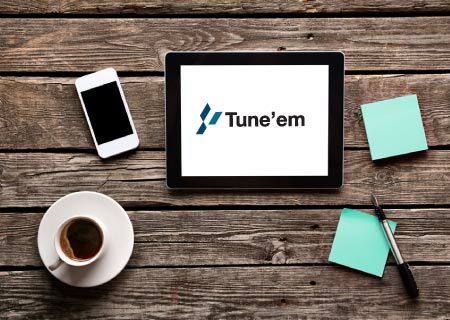 Tune’em ® the solution bringing in all the elements of learning and engagement on a digital platform. Starting as a seed application it has transformed into a solution addressing all the methods of learning used in any organisation. Tune’em ® ensures ease of use, fungible architecture and an engaging experience. Tune’em ® cuts across sectors and brings in a seamless learning and assessment enablement in real time. A young solution, build to fine tune the training delivery method, ease the training management and enhance the learner’s experience. A solution already adopted by large multinationals across industries to tune-up their mobile workforce. An application which is device, process and connectivity agnostic it has emerged as perfect tool in any organisations constant endeavour to improve returns on training.